Greenhouse Gases, Carbon Dioxide and Several Shades of Green. Energy efficiency as well as the “dark green” renewable energy of wind and solar are the best sustainable options to reduce CO2. However, if urgent CO2 reduction is the focus, one must not lose sight of additional options. Kemper – Big Bang or Black Hole for Clean Coal. 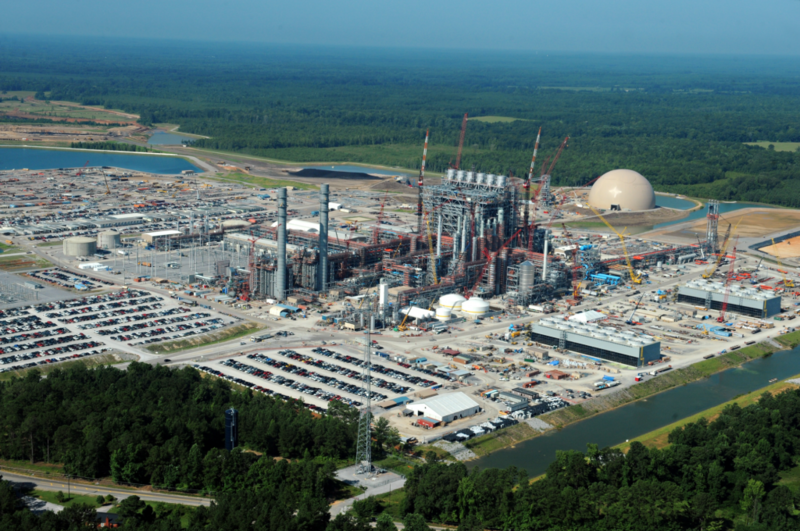 Energy Secretary Ernest Moniz in November last year visited the new Kemper power plant in Mississippi. After touring the plant he said: “I consider seeing this plant a look at the future.” It was probably meant that Kemper will be the big bang for future coal fired power plants. However, massive cost overruns and project delays have added arguments to the critics saying that this is not a viable future. 582 MW IGCC power plant under construction. Kemper, Mississippi. Owner: Mississippi Power, subsidiary of Southern Company. Plug-In Electric School Buses. What Are We Waiting For? The yellow school bus is an American icon. There are over 450 000 of them. Overall they are robust, reliable and safe. However, they are anything but clean. Almost all school buses use diesel engines. The exhaust contains particulate matters, carbon monoxide, nitrogen oxides, volatile organic compounds (VOC). Studies have shown that children in buses are exposed to unhealthy levels of these emissions. While breathing diesel exhaust is not healthy for anybody, it is more serious for children, since their respiratory systems are still developing. Batteries for electric energy storage has become like the search for the holy grail of enabling more intermittent renewable energy, wind and solar, both for integration with the electric grid as well as for “stand-alone” installations. Coming down the cost curve of lithium ion batteries. It is difficult to imagine if and how our mobile devices would have looked and worked without lithium ion batteries. Just think of, give and take, the four times heavier and four times bigger lead acid batteries, with longer charging times and shorter life! Looking ahead for large scale use of lithium batteries for vehicular and stationary applications, it is good to know that lithium batteries for the consumer electronics mass markets did not happen over-night. What do a hospital, an army base and a Walmart store have in common? The answer is that they all improve their energy efficiency and increasingly produce their electric power on site, behind the (utility) meter. Each single site may not represent a big electric load, but it starts to add up. In fact it may be part of the reason why electric utilities are facing lower load growth and in some cases even negative load growth. The Importance of Strong and Nice Neighbors. USA. Operating electric grids with more intermittent renewable energy sources, wind and solar, do not come without challenges. As discussed in my previous blog, The Importance of Strong and Nice Neighbors, the experiences from Denmark and Germany illustrates the value of strong electric ties with neighboring systems. The Importance of Strong and Nice Neighbors. Europe. In California with increasing amounts of solar behind the meter it has been recognized that the load curve is changing significantly. The new load curve, based on its shape called the “duck curve”, will set high demands on the system to ramp up and down. Germany More Brown than Green? Germany is by many seen as a leader in renewable energy development. Of the 615 TWh (1 TWh = 1 billion kWh)) produced in 2011 7.5 % was produced by wind and 3.1 % by solar (almost all is photovoltaic, PV). All renewable energy sources added up to 19.9 %. In 2012 the portion of renewable energy produced had grown to 22 %. On October 3 this year (2013) at noon wind and PV reached a record peak of 59.1 %. Plug in electric vehicles a blessing or a curse for the electric grid? Plug-in electric vehicles (PEV) may not come fast enough to reach President’s Obama’s vision of One Million PEVs in the US by 2015, but they are coming. As of November 30 2013 accumulated since 2010 158 600 PEVs have been sold. It is an impressive number but still just a fraction of the over 250 million registered passenger cars in the US.